Are you one of the growing number of people creating your own Tarot or oracle deck or wanting to? Or would you like to know how artists approach the task of producing, publishing and distributing their decks? In this amazing series of three master classes which run for almost four hours, Roxi Sim and Pamela Steele take you inside this process, along with more than 30 other artists who contributed to the series. In 2011 Roxi and Pamela created the Tarot Deck Creators page on Facebook, which quickly gained a large following. Over 30 artists have posted their original decks showing a wide variety of approaches to contemporary Tarot deck creation. 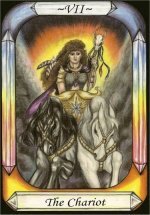 The page has been a great hub for Tarot artists to share and promote their work. Go to Tarot Deck Creators. In the first session Roxi and Pamela discuss inspiration and the artistic process featuring painted, drawn, digital and photographed decks. This colourful slide show is a feast for the senses, and you will be amazed at the wide variety of approaches to the subject of Tarot. In the second session Roxi and Pamela focus on how our artists approached the process of writing the accompanying book – either alone or with partners – from key words to story telling, to poetry. In the third session Roxi, Pamela and special guest Vicki Flaugher focus on printing, publishing and promotion. How to prepare your images, what options are out there, and how to get your deck out to your audience. Social media, tarot groups, associations, radio shows, blogs and more. ‘Our goal is to inspire, to widen our audience and to bring Tarot to those who have not heard of it before,’ say Roxi and Pamela. Erik Dunne’s deck The Tarot Illuminati was published in May 2013 by Lo Scarebeo. Jeffrey Donato’s Tarot D: The Didactic Tarot, soon to be published by Schiffer. Lisa de St. Croix’s Tarot de St. Croix was published through Devera Publishing. Ana Linares self published her Floriography Tarot. Judith Mackay Stirt’s Cook’s Tarot has been accepted for publication by Schiffer. Roxi and Pamela consider themselves ‘psychic twins’. Both their decks made the top 10 decks of 2007. They both started with the Ace of Pentacles and they both use runes in their decks. Since they met, they also found they have ancestors from the same clan in Scotland. Roxi self published her Pearls of Wisdom Tarot majors, in 2004 then her full deck was published in 2007 and her second edition in 2008. In the Creating a Tarot or Oracle Deck series she shares the process for creating her upcoming 22 card deck Pearl-Essence derived from her Healing Art projects that are part of her Pearls of Wisdom Healing Journey kit. Roxi has also created an oracle deck called Joy and Sorrow. You can purchase prints from this deck as well as the Pearls of Wisdom Tarot from her wesbite – www.roxiartwork.ca. Pamela Steele self published, her Steele Wizard Tarot deck and has a wealth of knowledge on how to go about publishing and connecting to distribution. In the Creating a Tarot or Oracle Deck series, Pamela shares the process for creating her digital deck The Wizard’s Pets Tarot, which she self-published with distribution through Devera Publishing & Distribution. 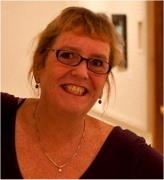 For more information about Pamela and her tarot artistry, visit the following websites. Here’s what a few of the artists have to say about the help and advice that Roxi and Pamela provide. Your encouragement from the very early stages of development and wealth of knowledge when it came time to court publishers for my deck proved to be essential in setting me up for a very successful end result. Your guidance on marketing through social media and your introductions to key personalities in the Tarot community led to wonderful radio interviews and made it possible for the Tarot Illuminati to receive worldwide exposure before its release date. Thanks largely to your heartfelt and insightful advice and assistance my deck has an international following and fan base that far exceeds my and my publisher’s wildest expectations…Erik C Dunne, artist, The Tarot Illuminati. As a creator of two published tarot decks and a book on tarot with Schiffer Books, I found this DVD collection to be invaluable in my own process of creation and publication. There are many budding tarot creators who would benefit from this information…Juno Lucina, creator of The Kingdom Within tarot deck and The Healing Tarot: 78 Ways to Wellness deck. About four years ago, I stumbled across the Tarot Deck Creators website and within a short time it became the prime source of encouragement and inspiration for the creation of my own deck…Roxi and Pamela demonstrated that positive intentions lead to positive outcomes… I want to publicly thank them for what they are doing. It is a daunting task to create 78 original pieces of work that speak to a common theme. The website and the series of three DVDs show us that not only can this be done, but it can be done with grace and dignity…Judith Mackay Stirt, author and illustrator, The Cook’s Tarot. Roxi Sim and Pamela Steele encouraged and supported me as I began the task of marketing and selling my original tarot deck. At first I didn’t know anyone else who had designed their own tarot deck and I was unfamiliar with the community as a whole. Since then, I have met many different people who share a common interest in tarot and art. With the help of Roxi and Pamela, I continue to meet really interesting and knowledgeable people in the tarot community all over the world!…Ana Linares, Floriography Tarot. Video recordings of the three classes are available as Windows Media files (.wmv). They can be viewed on PCs using Windows Media Player and on Macs using the free VLC multimedia player for Mac operating systems which can be downloaded here. three files stored on a USB flash drive: $79 + airmail postage added at the checkout.